Travel around the world with Alia Yunis as she tells a dugong story. Journey from the shores of the Red Sea in Saudi Arabia or Delma Island in the United Arab Emirates to Mozambique, the Solomon Islands, Vanuatu and Australia. 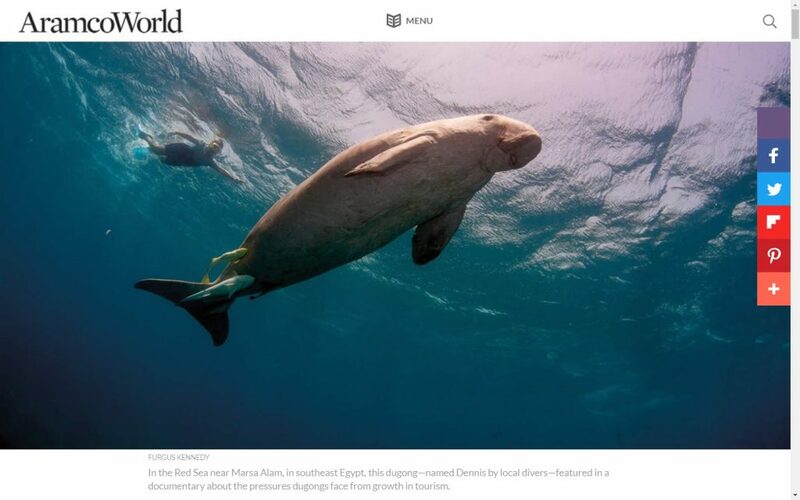 This is an intricate story of dugong, seagreass, culture and childhood. Published in the most recent edition of Aramco World, Enjoy this conservation-relevant travel story.